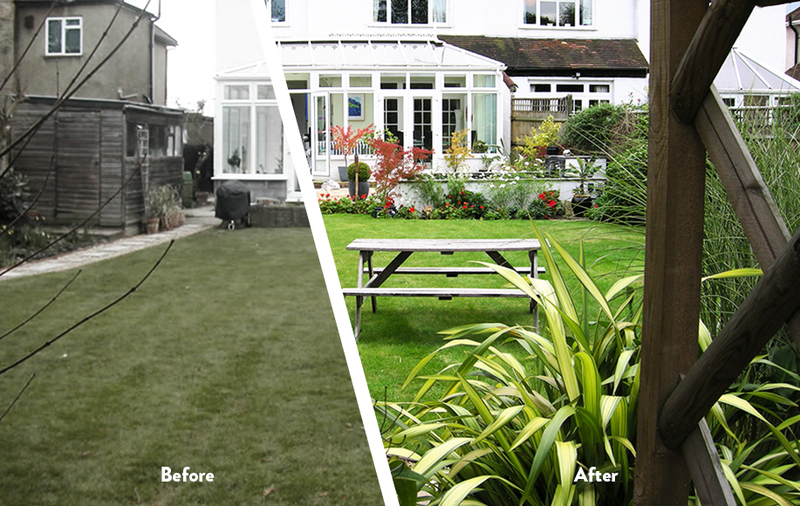 The Brief My clients were keen gardeners, but felt several parts of the garden needed updating, with the addition of two ponds, a large patio and another seating area. The Design Just beyond the new living room extension a Koi pond features within a patio that is large enough for entertaining. 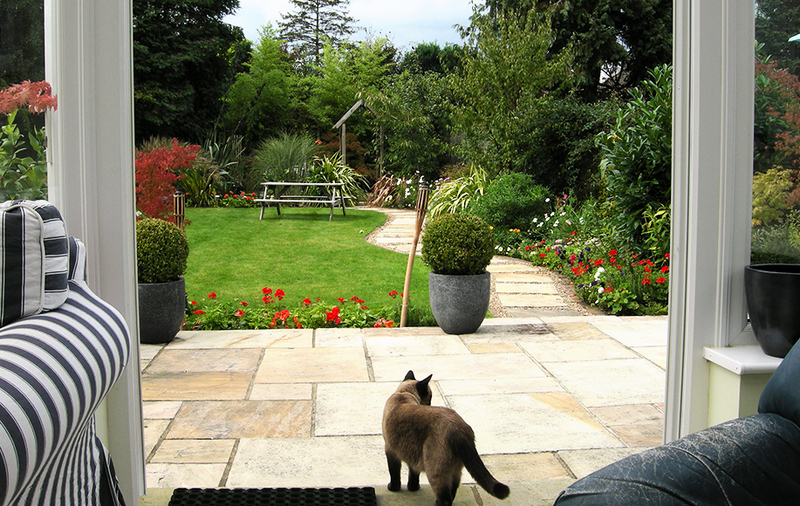 The existing path is bordered by new planting and a re-turfed lawn, and leads beneath an arch to a relaxed seating area. 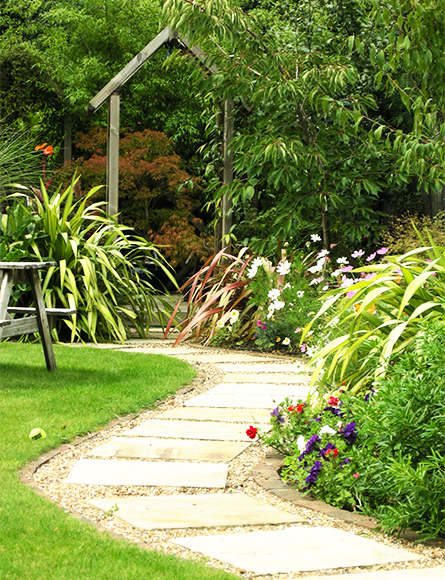 This overlooks an informal, natural looking pond and a raised border with a collection of Camellias and Acers. 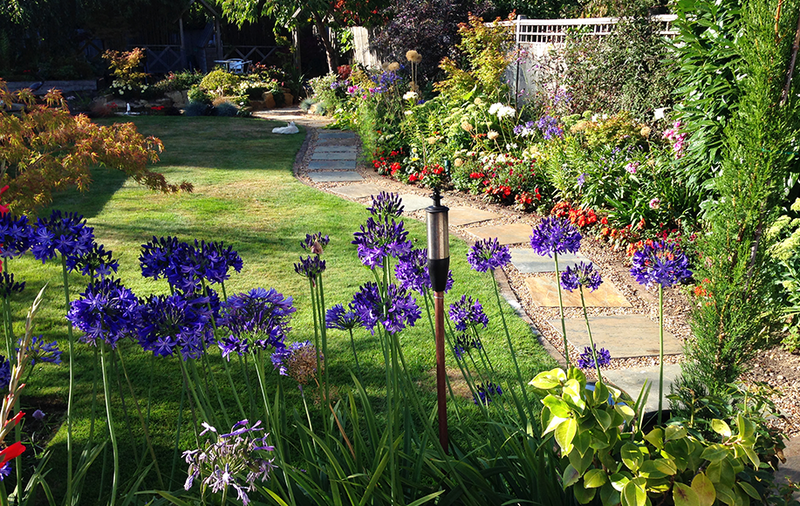 The planting provides colour all year, starting with a carpet of spring bulbs, through to summer perennials such as agapanthus, and then the glorious Autumn foliage of the Acers. Even the cat looks impressed!